Where did this come from? Did I see a couple, man and wife, sitting upright side by side, stiff Lego models in their camper van? I don’t remember, though the image, real or imagined, is where it started. Who were they and are they both happy? I thought not. What I do recall is sitting on the top deck of a London bus idling in traffic and looking down to see two women arm in arm suddenly stop, doubled up with laughter, enjoying the pleasure of each other’s company. I had to smile, was envious of their delight, but it made the day a little bit shinier. So taken together the theme of the novel was in place. I didn’t think ‘midlife crisis’ or failing marriage. It was the need for something you’d never had, or perhaps had once had and lost. Leonard was the one on the bus seeing what I’d seen, caught in that moment of the need for laughter in his life. Monica, his wife, came into being with her certainty of the way things ought to be, though she developed more fragilility as I got to know and like her. Theirs was the marriage which had probably always been as stiff as those plastic models. Satisfactory; that damning term. So who was that laughing woman haunting Leonard for weeks after the one time he saw her, the catalyst for his desire and frustration? The image led him or me to a prostitute and that I named her Ladybird was serenditity, and as if already bespoke, he would have to be an entymologist. A man whose obsession is insects, a man who’s chased bugs all his life. Also I cannot remember whether I had read or was reading Richard Fortey’s ‘Dry Storeroom No.1 The Secret Life of the Natural History Museum‘. But it is a marvellous book which certainly informed my way of thinking about Leonard’s working life, although his role at the museum I’ve made quite sketchy. The staff at the Museum were kind enough to answer some questions which might relate to the sort of work he would do. Of course I couldn’t leave them there. What were their backgrounds? Who was Leonard missing? Why did Ladybird do what she did? They were not difficult people to find. I wrote the whole of Ladybird’s backstory to insert fragments as Leonard and Monica’s relationship came to ‘life’. And I fell in love with Bob, their next door neighbour; a gift of a character. The title, though, was a nightmare. 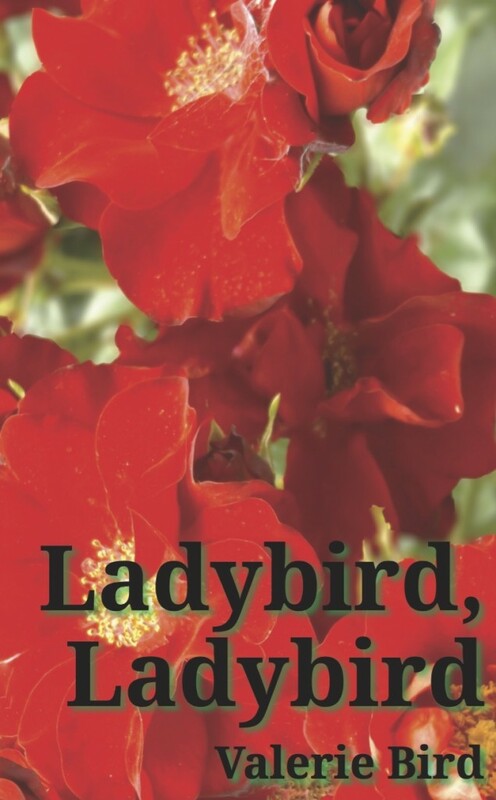 ‘Ladybird, Ladybird, fly away home …’ Wasn’t there an element in the storyline which alluded to that rhyme? But my surname made it awkward, I felt. Would it be assumed that I was Ladybird? I even thought of a pseudonym as so many women writers in the past found necessary for other reasons. I tried ‘Lust’ which became it’s working title. It still amuses me to find the manuscript on my computer is thus named. I even tried ‘The Bug Man and the Ladybird’ or ‘The Line between Love and Lust’. It was, though, Leonard’s original cry that won out; ‘Ladybird, Ladybird’. The cover was a given. The roses encircling a roundabout in Chichester caught my eye in the first years of writing the novel. There are many references in the novel to roses in various ways, Leonard’s favourite colour is red. How to create the image was more problematic. It is a busy roundabout with no obvious stopping points from which to take a photograph. Realising this summer that the blooms were at their best and as neither Drew Westcott, a photographer and publisher, nor I had time, my daughter, Helen, kindly took the photograph. 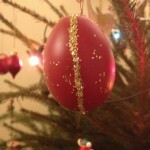 The results were perfect and with the black background and red writing it is, with Drew’s skill, as I always envisaged. There is love, laughter, sadness and inevitability in this novel. As the dedication implies, the beauty of gardens bring solace in the worst of times. Previous PostWhat would we do about paper?